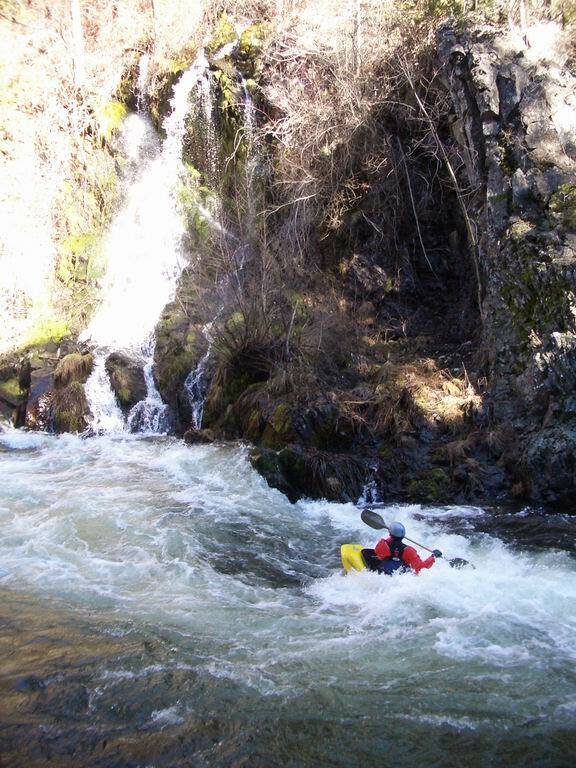 This classic run covers one of the most scenic class IV rivers in California, with the bonus of having good whitewater from beginning to end. 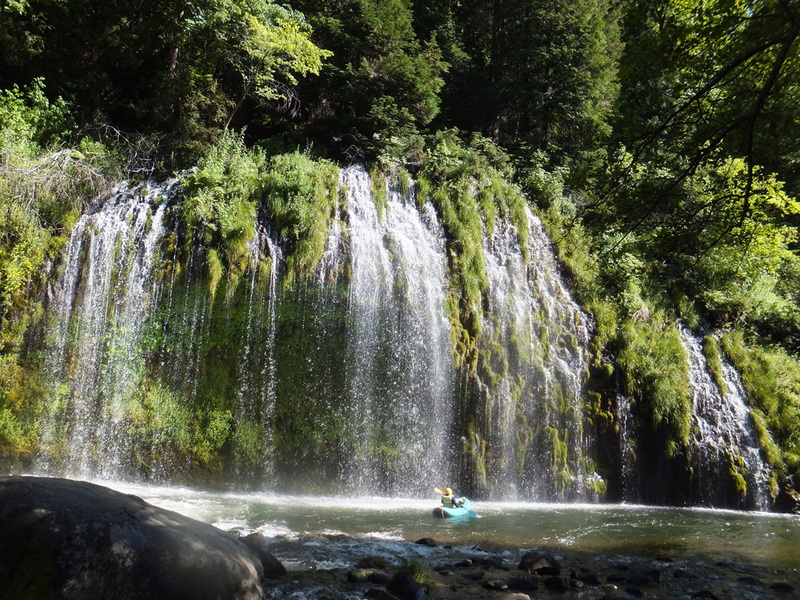 As Chuck Stanley writes, “no one will soon forget paddling behind Mossbrae Falls, a beautiful fern-covered spring that showers into the river.” Pictures below. 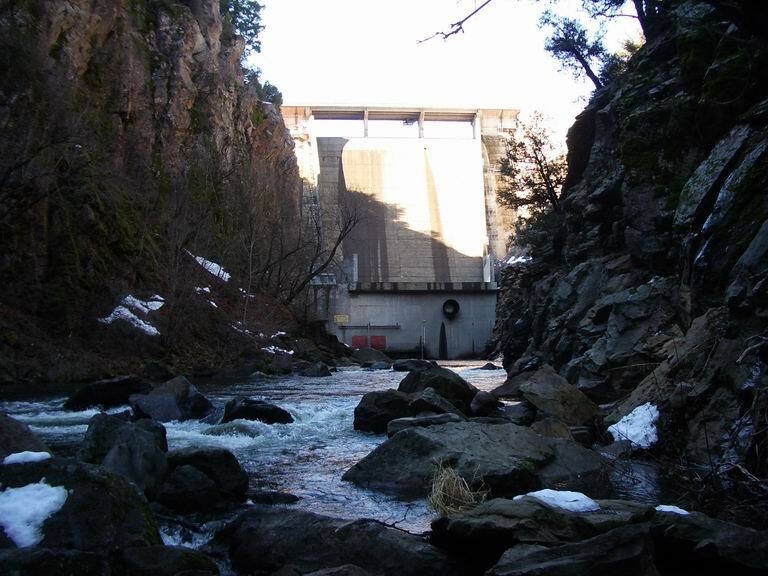 Siskiyou County is currently posting a PDF with graph of daily flows. Hopefully this will continue into the future, because it is a lot more convenient than checking the stick gauge at mile 2! The stick gauge is about 20 meters upstream of the northernmost parking at Cantara Loop access. 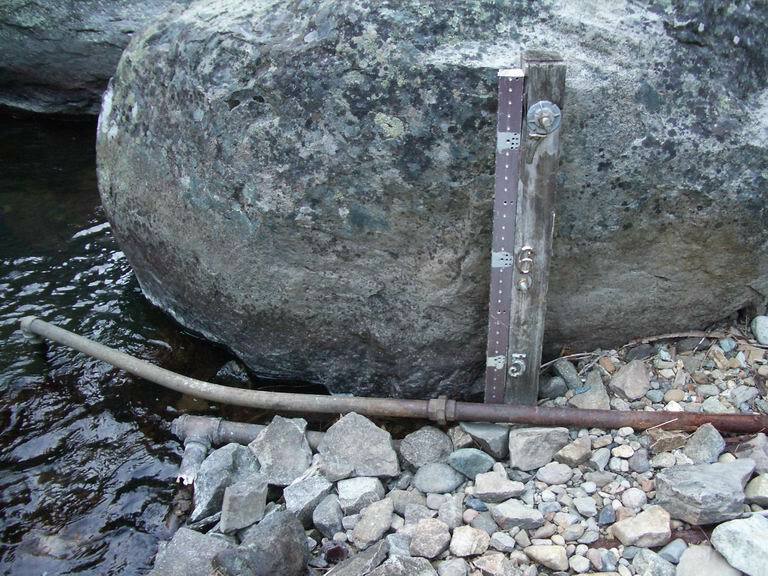 Good levels for Box Canyon are between 4'6" to 5'6" on this gauge. You have a choice of three put-ins: the first physically difficult, the second involving a long shuttle, and the third easy and very convenient. Numbers follow. For the first mile, the river flows thru what remains of Box Canyon (the rest is under Siskyou reservoir), a class IV vertical gorge almost a hundred meters deep. A great description of this section, which can be run in laps, is posted here by Darin McQuoid. After Box Canyon ends, you reach Ney Fishing Access, and the river flattens out for about a mile. The dirt-road shuttle to this point is probably not worthwhile. After Cantara Loop access, a railroad follows the river. 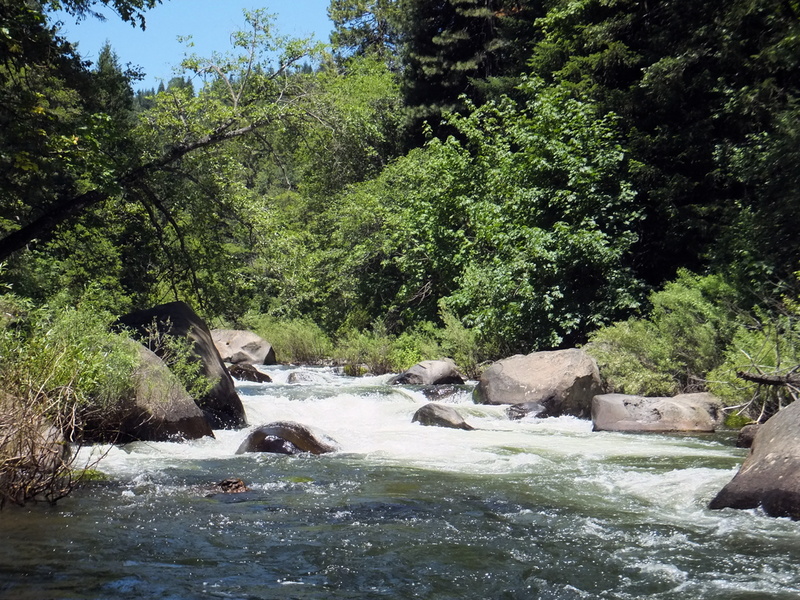 From this point to Dunsmuir, rapids are boulder-bar affairs, not bedrock, thus unfriendly for hardshell kayaks at low flows. Stop to scout whenever you cannot see to the bottom of a rapid, because strainers and logjams can pose substantial risks in this stretch. Railroad track construction might have added rocks and narrowed the riverbed, but one of the most difficult rapids is at a bend away from the railroad. The uppermost put-in is not obvious. Just downhill from the golf course on the east side of the dam, there is a wide path leading along the river. Hike your boats on this path until you reach a place where a large number of boulders have been dumped, like a rockslide, to prevent erosion. Just before the trail curves left to traverse these boulders, turn right onto a narrow path leading along a ridge. This path soon curves left and starts descending the hill steeply. 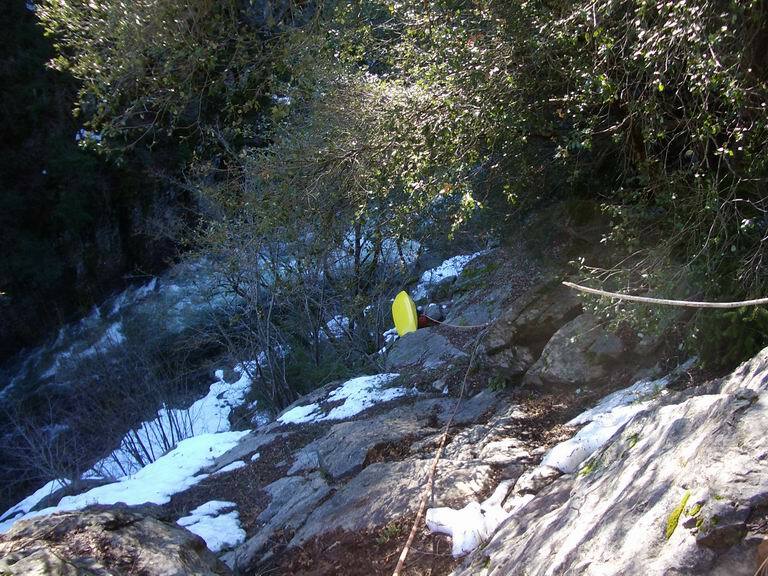 Considerate kayakers installed a fixed rope to assist your descent to the river. Inflatable boats are best carried uninflated; except at highest flows, flat spots are available at the bottom. Put in on the left side below Siskyou Dam road bridge, probably carrying as described above, or possibly lowering your boats on a rope. Nearly continuous class IV rapids begin immediately. Ney Springs Fishing Access on the right bank, possible put-in for rafts, or emergency take-out. Several trails descend from a parking lot to the river near the base of a midstream island. Vehicles can reach Ney Springs by driving south from the west side of Siskyou Dam, then taking a dirt road down to the river. Stink Creek enters on the right. On the left bank is an alternate put-in for rafts, less-fit kayakers, and people not comfortable with rope work. Vehicles can reach this put-in by driving down Cantara Road. Photos above and below © 2005 Darin McQuoid. 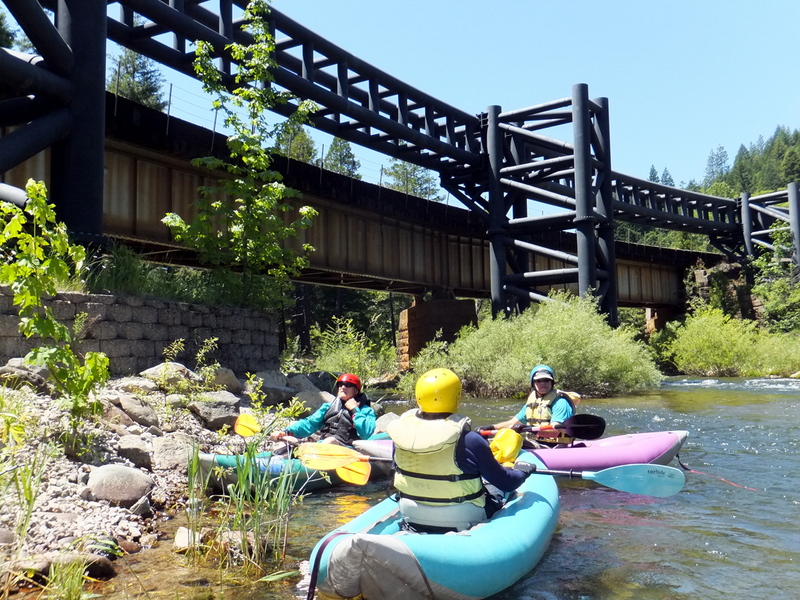 First railroad bridges, where Cantara Loop descends to and crosses the river. This was the site of a toxic waste spill in 1991, after which they built the modern steel structure that replaces the old bridge upstream. A class IV rapid is shortly downstream of the Cantara Loop bridges. Possibly scout right. 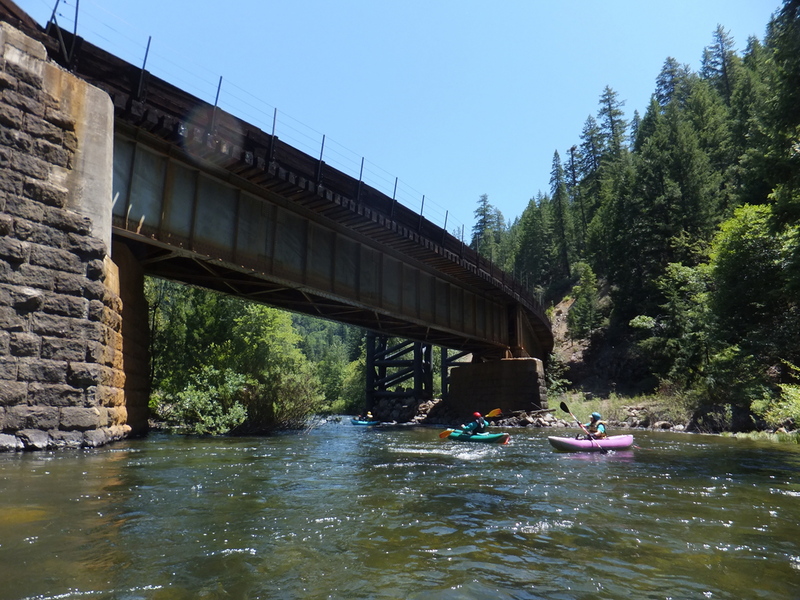 Second railroad bridge, then big Canyon Creek enters on the left. A steep section where the river jogs right away from the railroad tracks. Most water goes left of an island, with the best channel near the island. After the island ends comes the toughest section with large boulders, steep class IV drops, and an undercut rock on bottom right. Hard to scout. 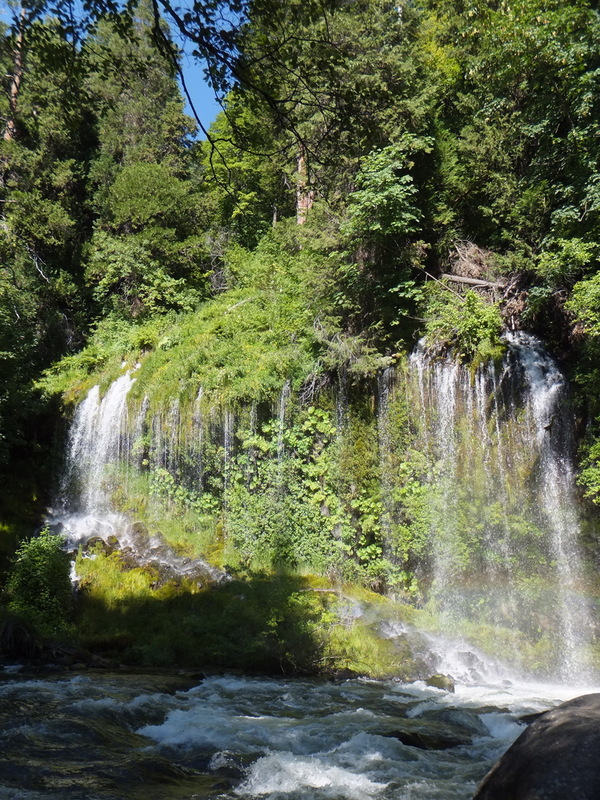 Scenic alert, Mossbrae Falls on the left bank. Access point at first road bridge. Hardshell kayakers sometimes take out here, because rapids become more bony (rocky) ahead. Shasta Retreat and the first houses of Dunsmiur are just downstream on the left bank. I-5 bridge high above, with convenient dirt road leading to take-out on the left bank underneath the bridge. To reach take-out, exit I-5 at the north side of Dunsmuir, where several motels are visible from the freeway. Drive downstream to a dirt road that leads unter the I-5 bridge, or drive upstream to where a sideroad crosses the river on a bridge. Parking is plentiful in either location. There are other possible take-out spots in Dunsmuir. To reach put-in from there, return to I-5 and drive north to the central Mount Shasta exit. Turn left, cross the freeway, and turn south onto Old Stage Road. Follow this road to where W.A. Barr Road forks to the right (follow signs for so-called Lake Siskyou). Parking is tight on river left at the bridge over the reservoir (2002). The climb down to the river, even with fixed rope, is arduous with heavy boats. You might need to repark your vehicle after unloading boats. 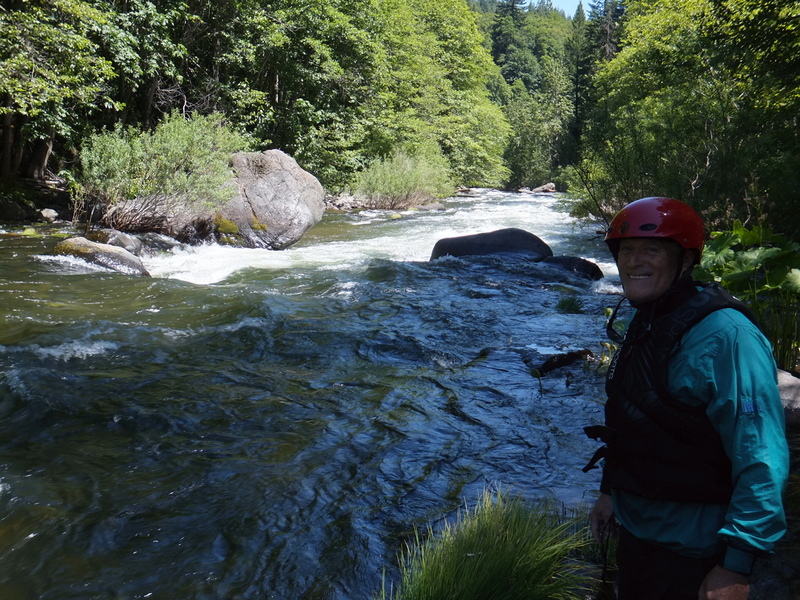 There are some affordable cabins in Dunsmuir near the river, providing a warm bed for boaters doing this run during the winter. Also of note is the Dunsmuir Brewery Works, an excellent brew-pub opened in 2009.